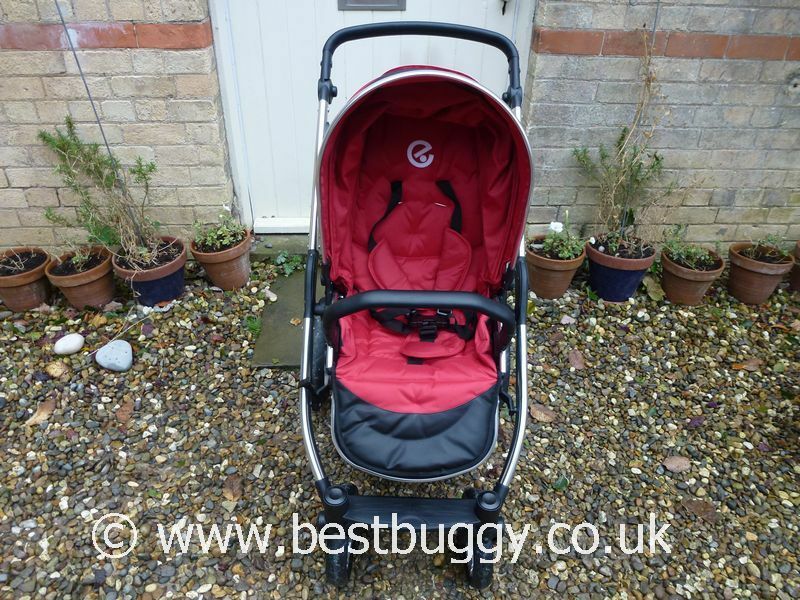 This photoset is of the Babystyle Oyster Max in single mode. The Oyster Max can also be transformed into a tandem pushchair for two children. 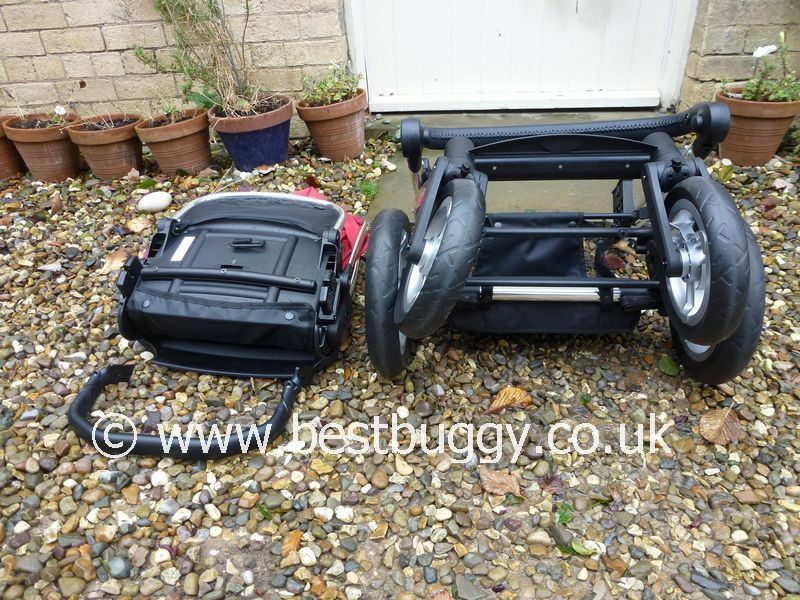 However unlike many tandem pushchairs, in single mode, there is no sign that the Oyster Max is a tandem pushchair in the making! 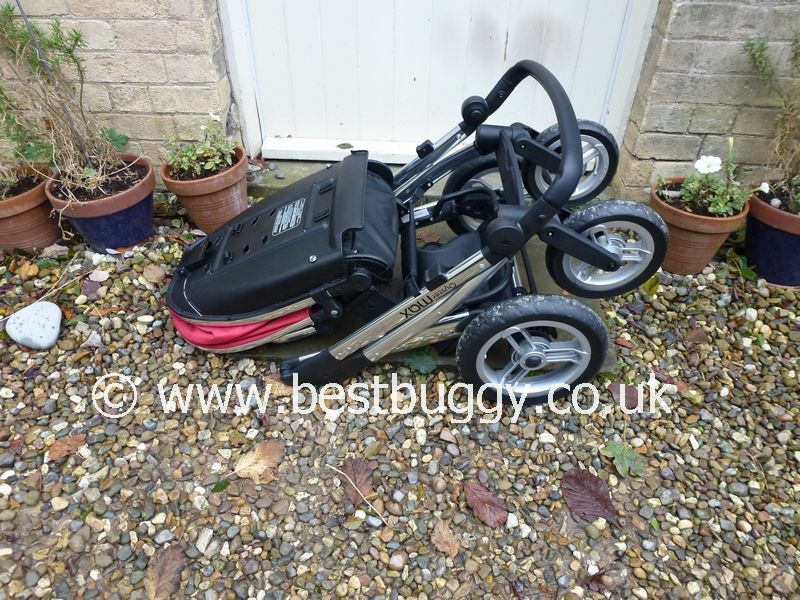 This makes the Oyster Max one of the few stand alone single pushchairs with a conversion kit available for when Baby No 2 (or 3 or 4 or even makes an appearance. The Oyster Max comes in two tiny boxes. The seat unit is a clamshell when folded and opens out into a good sized seat. Our tall nearly 4 year old looks very comfortable in the main seat. The seat comes with a bumper bar and an apron. The chassis is amazingly light. It is very compact with no wheels on, but the rear wheels do make the chassis more bulky. But it is been no problem to pop the wheels on and off. There is a rotating adjustable handlebar with a leatherette finish. 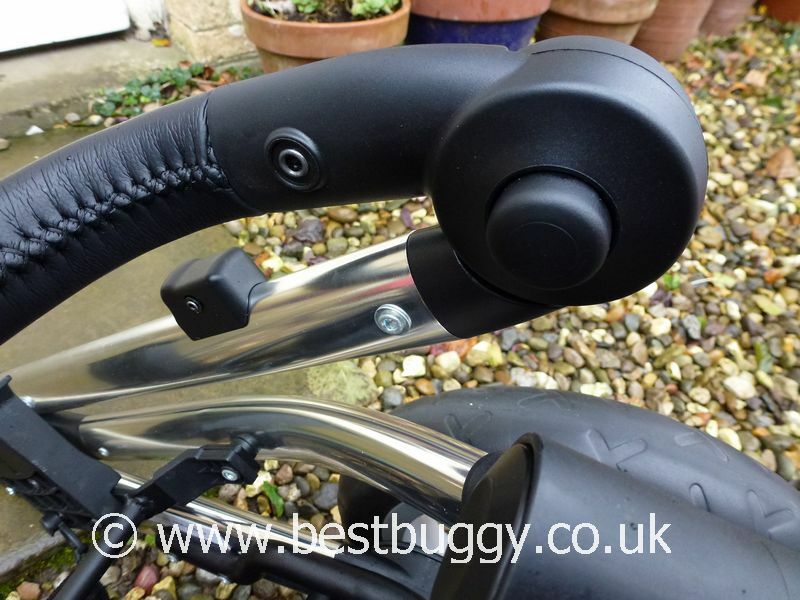 Mr BB really likes this handlebar and it does add a luxury feel to the Oyster Max. There is a good sized basket although a little low at the rear, but it needs to be this shape for tandem mode. 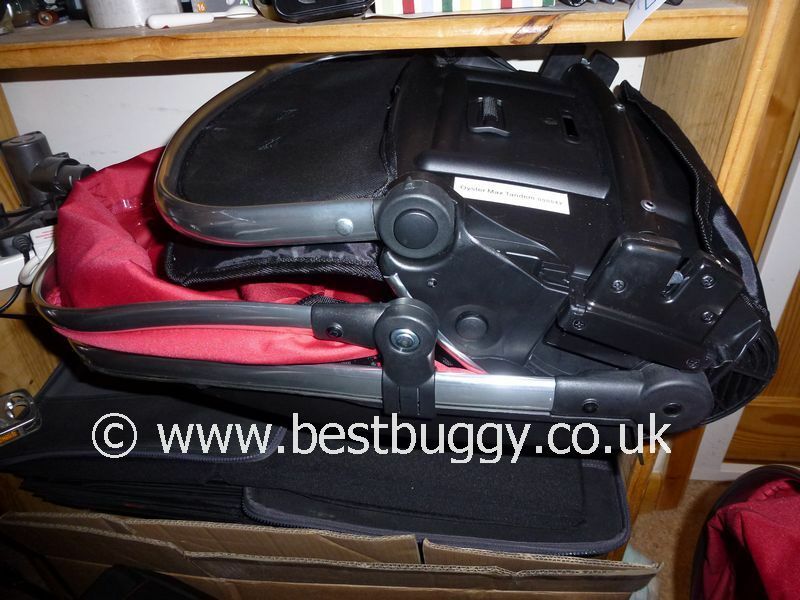 The carrycot simply drops into the seat sockets on the chassis. 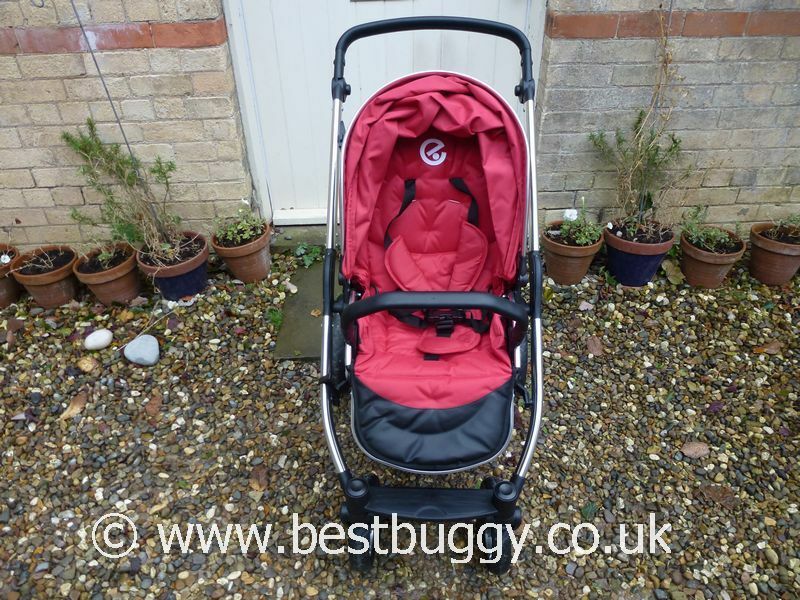 There are height increasers available to raise the carrycot up slightly. 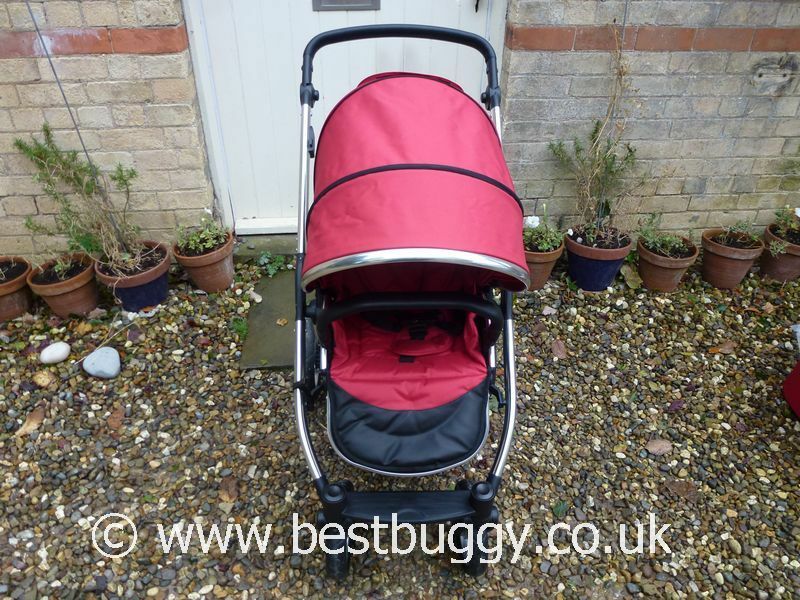 The Oyster Max carrycot has a flap section at the rear of the hood which can be lifted up to reveal mesh underneath. The Oyster Max can fold with just the main seat on forward facing – short and chunky; or rear facing – long and slimmer! There is an autolock on the Oyster Max chassis. 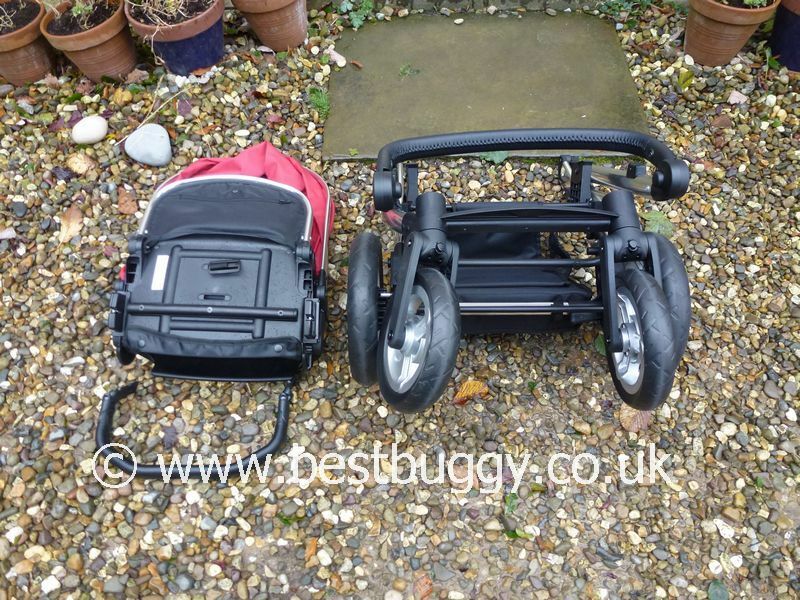 Anyone familiar with the Colour Pack Oyster will feel instantly at home with the Oyster Max – there is much similar about the two pushchairs – such as the fold, unfold, bumper bar, seat unit etc.